The MDF Latex-Free Thigh Blood Pressure Cuff with D-Ring and Double Tube, delivers superior patient comfort and performance. 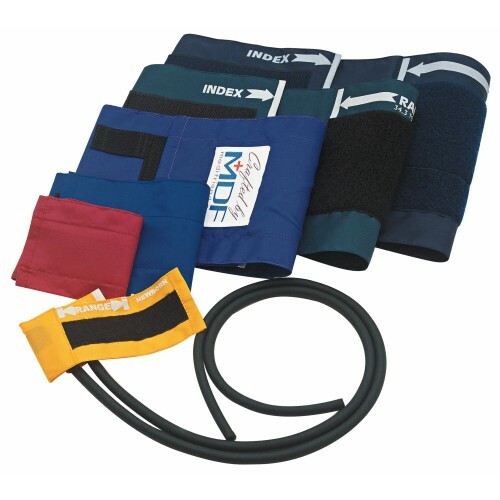 This cuff is for MDF and other major branded manual and electronic/automatic blood pressure monitors with Double tube configuration. Master craftsmen handcraft all MDF Instruments and devices in the MDF artisan tradition and they have since 1971. Inflation Bag & Tube: The inflation bag is constructed of crack & stick-resistant, high-density hypoallergenic latex-free PVC. 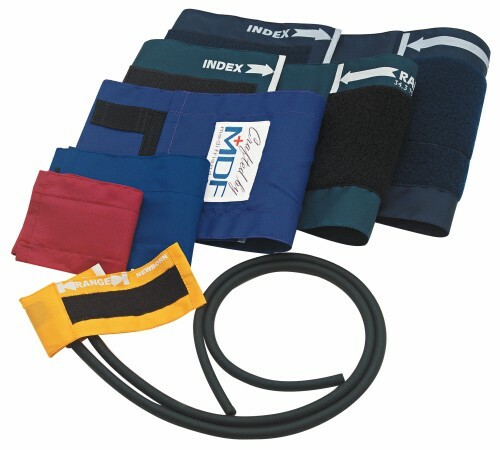 The universal Double Tube enables compatible cuff exchange with all MDF and other major branded blood pressure systems with D-Ring and Double tube configuration.